This article describes the steps to configure item level permissions using Crow Canton NITRO Workflows such that Tickets created for a particular Category will be visible to particular SharePoint user(s) or SharePoint group(s). This can be done based on some other parameter instead of Category and also can be applied in general to any list in NITRO based applications. In this article, we have considered a use case of “Payroll” Category. 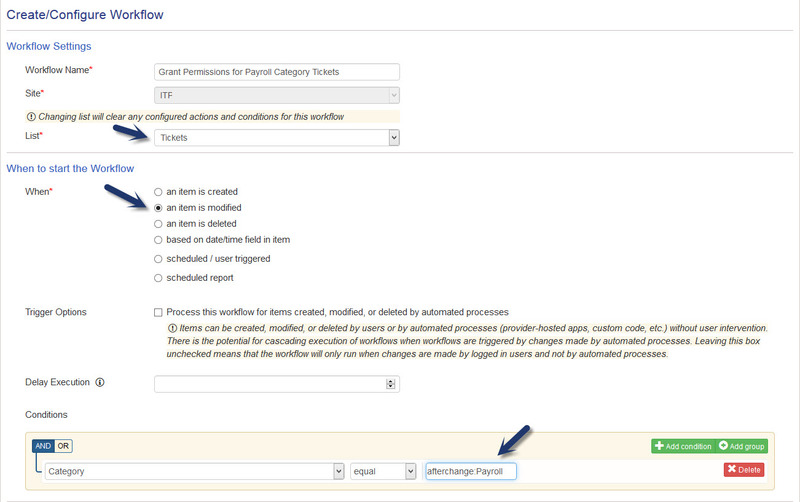 If a Ticket is created with Payroll Category, we would like to grant permissions to Payroll SharePoint group only. 2. Create another workflow on Tickets list on “item modified” event with the same configurations as described above with an additional condition i.e. Category equals “afterchange:Payroll”. This workflow will be triggered if Category of the Ticket is changed to “Payroll” and hence specific permissions need to be granted. 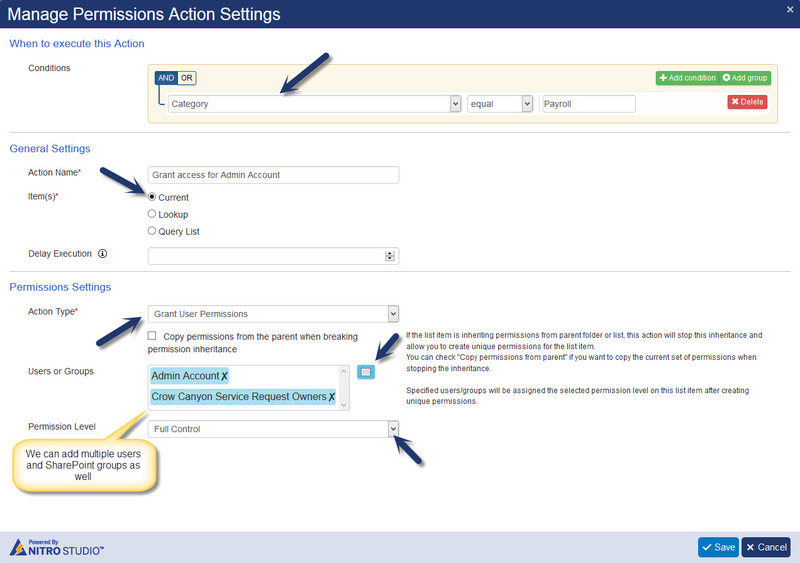 Please refer this article for the complete user manual for “Manage Permissions” action in Crow Canyon NITRO Workflow Manager.